Abdollahzadeh, G., Mostafa Shabanian, S. (2013). Analytical and Experimental Studies on Behavior of Beam to Column Connections with Flange Plate under Monotonic Loading. Iranian Journal of Energy and Environment; previously called: Iranica Journal of Energy & Environment, 4(3), -. Gholamreza Abdollahzadeh; Seyed Mostafa Shabanian. "Analytical and Experimental Studies on Behavior of Beam to Column Connections with Flange Plate under Monotonic Loading". Iranian Journal of Energy and Environment; previously called: Iranica Journal of Energy & Environment, 4, 3, 2013, -. Abdollahzadeh, G., Mostafa Shabanian, S. (2013). 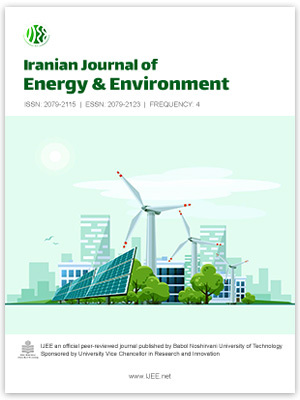 'Analytical and Experimental Studies on Behavior of Beam to Column Connections with Flange Plate under Monotonic Loading', Iranian Journal of Energy and Environment; previously called: Iranica Journal of Energy & Environment, 4(3), pp. -. Abdollahzadeh, G., Mostafa Shabanian, S. Analytical and Experimental Studies on Behavior of Beam to Column Connections with Flange Plate under Monotonic Loading. Iranian Journal of Energy and Environment; previously called: Iranica Journal of Energy & Environment, 2013; 4(3): -.